Is your garage door not balanced? Is it getting stuck halfway? Then, don’t get frustrated and start fixing the problems of your garage door on your own. Hire a company that provides you good repairing services at your doorstep. When you see signs that your garage door needs professional service, then don’t take risk by giving amateurs a chance to deal with it. How would you go about it? Just hiring an expert won’t help, you need to hire someone who is a Professional in true sense! And for that, you need to consider myriad things while hiring the right garage door company in Staten Island for yourself. Don’t just start with hiring a garage door repair company. Take your time and do some research. Talk and inquire with your family members and friends who have taken the service of garage door repair. Getting suggestions from those you trust is an awesome way to get an appropriate repair company for you. You can even check the online reviews of a company you are hiring from the potential customers. The more experience the technician have, the more professional he is. Always pick for a service that has years of experience in repairing and installing garage doors. There are a few companies who specialize in all services, and some of the companies are specialized in one or two services. So, make sure you pick a company with specialized services and relevant experience. Make sure when you hire a garage door company in Staten Island, you check thoroughly about their authorization. Ensure they carry their business license, bonds, and insurance with them. This helps in approving their authenticity. With the help of all the paperwork, both of you gets protected from extra expenses and messy workmanship. A trustworthy company will never hesitate to share their or their professional’s address, email or phone number. Browse their website for photographs or testimonials, and get confirmed whether you have selected the right company or not. There is no one on the planet that can give you the right information about the company than the past clients. If you can find on your own, that’s well and good. If not, ask for the contacts of their satisfied customers from the company itself. If they neglect to give, then quit them and search for any other company. Don’t forget to check the forums of the company for the online reputation. #5 Who will be performing the work; Employees or Subcontractors? 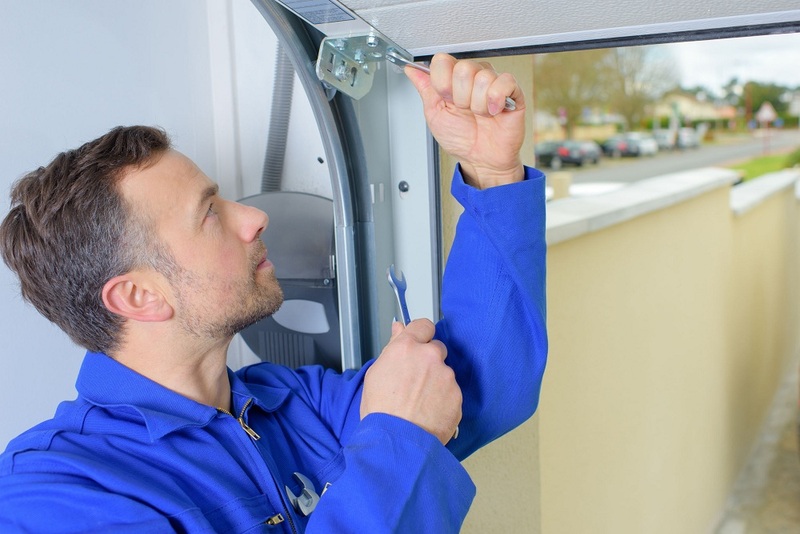 Before hiring a garage door service providing company, do ask them who is actually performing the work. As there some companies who have their own employees to provide services. And, a few companies hire another company to perform the work known as sub-contractual worker. No matter, he’s employee or subcontractor, what matters is the experience and authenticity. So not forget to ask whether he is licensed or trained. Do ask the contact details of the contractor and the company to make your installation and garage door repair smooth. At ASAP, We don’t work with sub-contractor, so you can contact us for grage door repair services. This is the most important question to ask while hiring a garage door service. Make sure that the company has both workman’s reimbursement and liability insurance to ensure you are not at a fault for any injuries or damage to property. Garage door repair services must be insured and bonded to be secure from liabilities. The technician is always responsible for all the harms and damages if happened while providing services. Therefore, a well-known company will always be confident about their work and will offer a warranty for their work and services. Try to find out the company, who offers a warranty for their work if you are looking for a repair service. This will save you from any damage with work quality. That’s true! The first impression matters a lot. Do visit the company before hiring, talk to the professionals face-to-face and analyze the kind of services they offer. Do not hesitate to make inquiries as it’s the best way to know the company well and build up a relationship with them.